Being the only German microbrewery in Delhi-NCR, 7 Degrees Brauhaus is a luxurious party venue that offers authentic German food and one of the finest in-house brewed beers in the vicinity, perfectly suitable for your party events. 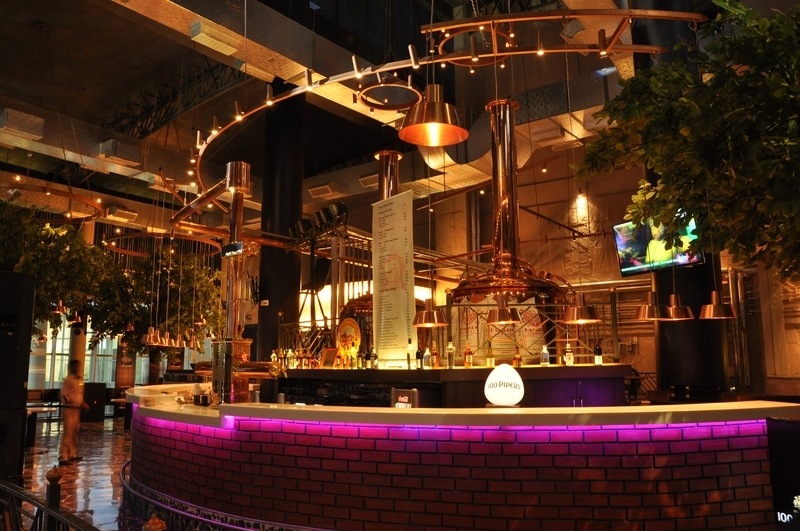 7 Degrees Brauhaus is a German microbrewery nestled on the 3rd floor of South Point Mall on Golf Course Road, Gurgaon. The party venue can be approached by a 13-minute drive, at an accurate distance of 4.9 km, from its nearest metro station Huda City Centre, the terminal station on the yellow line of DMRC. The venue is also located in a close proximity to the major hubs of Gurgaon including MG Road, Golf Course Road, and Cyber City. The luxurious party venue is sprawled across two floors, offering two areas for the celebration of your events. The venue offers celebration areas for both full-fledged parties and intimate ones. With a beautifully incorporated a garden theme in the venue, the ambience of this party place is spellbinding. Being a one-of-its-kind microbrewery in Delhi-NCR, huge copper brewing machines are an integral part of the ambience of the capacious celebration area in the venue with a perfect blend of sophistication and rustic look and feel. The microbrewery offers a wide array of vegetarian and non-vegetarian authentic German delicacies along with both Indian and Continental cuisines and is sure to provide you with a great culinary experience. Being the only German microbrewery in Delhi-NCR, 7 Degrees Brauhaus brews one of the finest in-house beers you shouldn't miss out on! The service is prompt and the staff is remarkably cooperative. Have you been to the venue? Like previous events, we had a great time at 7 Degrees. Thanks to venuemonk for the wholesome support. Amazing venue! The ambience is just perfect and beer tastes really great. Thanks to our event expert for being really patient with our venue-searching. No Arms and Ammunitions allowed inside the premises. All Government applicable taxes are extra on the listed price.